Forgotten colors as a reflection of historical events. RAL is not a classification system like the Pantone Rainbow but a collection of colors still in use to this day. What fascinates Carsten Becker are the gaps in this collection: Few things have more to say than that which is concealed and lost. 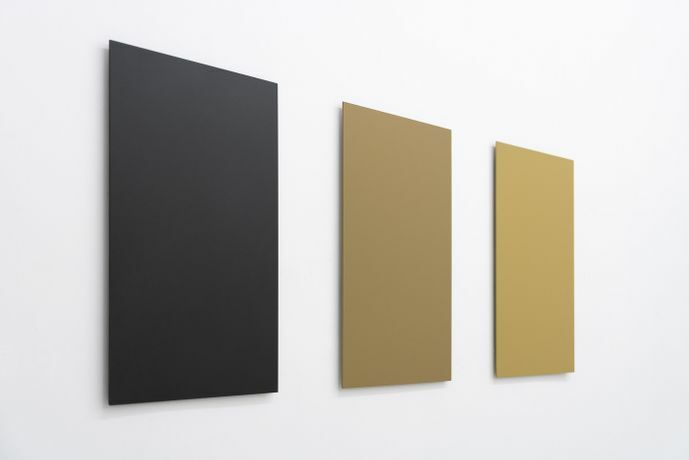 For instance, Becker uses panzer grey, sand grey and dark yellow to produce triptychs. His intensive working of the RAL colors also serves to reveal the subtle changes between seemingly identical hues.